Learn how to grow an organic vegetable garden at home. We offer all the basics on how to plan and prepare for planting an organic garden layout. Planning a vegetable garden is a great and healthy idea in today's economy. No matter how much space you have available, there are many options for planting a garden at home. Whether you have a small space, or lots of room in the backyard, there are layouts and designs that will work for growing a garden. Growing tomatoes, potatoes, cucumbers, lettuce and more is a fun and simple way to provide more healthful food for your table. An organic vegetable garden is a cycle of renewal. Garden soil lives and breathes, although you can't see most of its' important components. A handful of dirt is filled with thousands of invisible microbes, bacteria and fungi. As leaves fall from the trees, and other plant life decays, soil organisms go to work recycling the once-living matter. It decomposes into nutrients that growing plants need to thrive and be healthy. 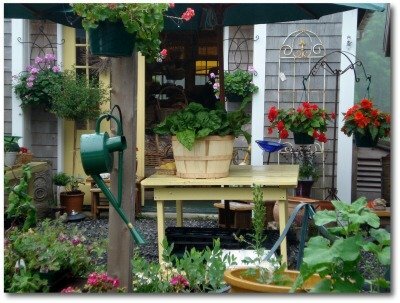 Timing is everything in growing a successful garden! 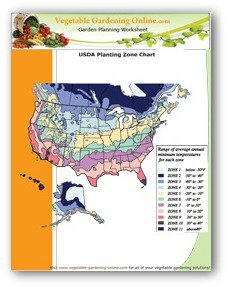 Use our vegetable garden planting guide and zone chart to help calculate the organic garden planting time in your area. There are several good basic designs to use when planning an organic vegetable garden. 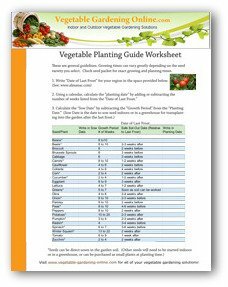 You can download several vegetable garden plans from our Sample Garden Plan page. Layout garden from north to south in a sunny well-drained location. Plant taller growing vegetables such as corn and green beans on the north end of the garden to prevent them from shading shorter plants. Medium-height plants such as tomatoes, zucchini, cucumbers, peppers, eggplant in the center, and shorter vegetables such as lettuce, radish and onions on the south end of the garden. Layout garden from north to south in a sunny location. Build container of wood, bricks, or decorative stone 8 to 15 inches tall, and no more than four feet wide. Any length is fine; depending on how many vegetables you want to grow, and how much room you have. Fill bed with good quality organic garden soil containing added compost, vermiculite, and organic fertilizer. Large or medium size containers can be placed in a sunny location on your porch, patio, deck, or in a flower bed. Fill large containers with high-quality organic potting soil. Hanging containers can also be used. 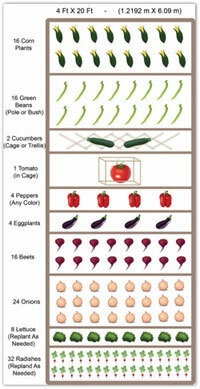 Cages or a trellis can be used to support and train larger vegetables such as cucumbers and tomatoes in containers. Water frequently, as soil in containers will dry out quickly in warm or hot weather. Select organic vegetable seeds or plants for your garden. When deciding what to plant, choose vegetables that are you and your family's eating favorites. Follow the planting and spacing instructions on the plants or seed packets. Keep a garden diary or journal to save and collect information from year to year. It's not always easy to remember exactly what worked well and what you would change when it is time to plant your next garden! Adding compost to enrich and condition the soil in your garden is one of the most important improvements you can make. When you add compost, it speeds up the natural process, recycles nutrients from the organic matter back to the earth, and supplies the plants with fertilizer they need. Why not create your own organic fertilizer by composting ingredients such as fruit and vegetable scraps from your kitchen, along with leaves and grass clippings from your yard? What a great way to recycle items that would otherwise end up in the trash bin! Good air circulation in the compost bin is necessary to keep the beneficial bacteria thriving. If the compost pile is large, it helps to stick a few chimneys of PVC pipe to keep the air flowing. 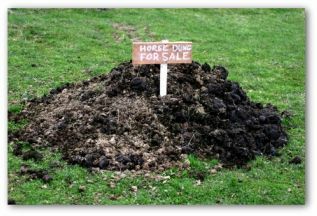 Well-aged manure and garden waste can be used anywhere in the garden. It should be dug in long before planting takes place to allow time for it to break down into the soil; in the fall is the ideal time. 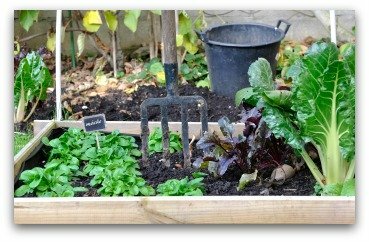 Mulching is one of the most natural and easiest gardening techniques used to protect an organic vegetable garden from weeds, drying out, pests, extreme weather, and erosion. High- quality mulch adds invaluable nourishment to the soil as it safeguards. Mulches help keep the soil alive by attracting earthworms and microbes, which help loosen soil structure and supply essential nutrients. Before mulching, weed and water your organic vegetable garden. Fertilizer should also be applied before mulching, as organic materials will decompose quicker under a layer of mulch. Mulch should not be layered on so heavily that it blocks moisture, air circulation, or sunshine from penetrating the soil. Apply smaller grade organic mulches such as wood chips or sawdust up to 3 inches in thickness. Spread lighter mulches like leaf mold, straw, pr hay, as much as 6 inches in depth. A rain barrel is a practical addition to an organic vegetable garden, to collect water for your plants. Every garden benefits from the use of organic fertilizers, compost, and mulch. These naturally occurring materials add crucial nutrients while greatly improving soil texture. All together, they insure the development of rich, loamy earth, which in turn ensures strong healthy plant growth. An excellent and inexpensive way to supply nitrogen and trace minerals is to plant green cover crops! Clover, peas, beans, and alfalfa are legumes, which take nitrogen from the air and make it available to the soil. Plowing under some of these crops before planting your garden further enriches the soil. To increase the soil’s nitrogen content, a variety of organic fertilizers are suggested. Blood meal, cottonseed meal, fish emulsion, and bone meal are high in nitrogen. It is important not to overfeed a crop because too much nitrogen leads to leggy plants, poor production, and increased susceptibility to pests and diseases. An organically grown vegetable garden is finding the correct balance of natural products to provide you with nutritious and healthy vegetables. 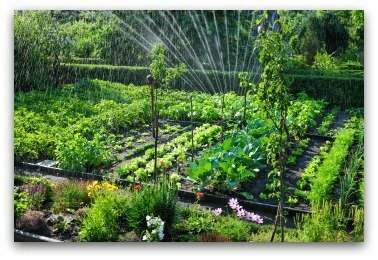 Organic gardening is the use of naturally occurring, non-toxic substances for soil nutrition and pest control. 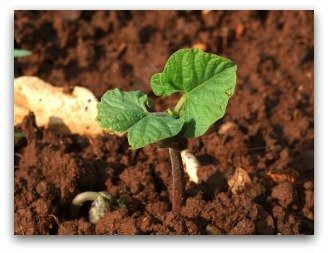 There you have the basics for preparing and starting an organic vegetable garden at home. 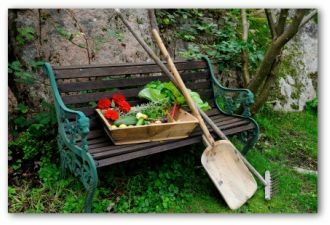 Each season, you will learn more, and have new ideas for planning and planting your vegetable garden layout. Organic gardening is a great way to save money, and provide delicious food that your whole family will enjoy. 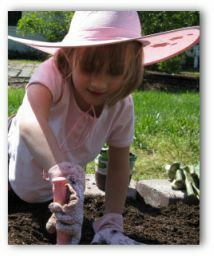 Planting a garden is a fun and healthy activity for children and grownups alike.